Canned Tuna in Olive Oil Callipo. Price per 9 Cans of 2.8 Oz. 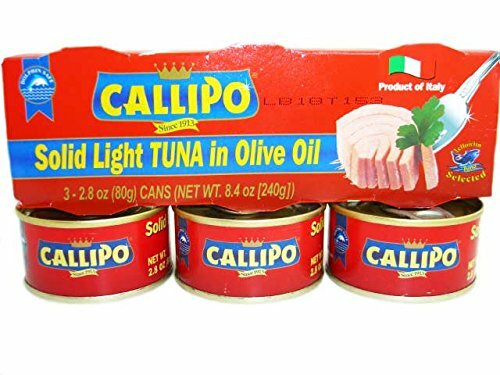 Callipo is the best Italian solid tuna. This yellow-fin tuna is dolphin-safe and fished in total accordance with the protections of the habitat of the sea. The meat is ripened in olive oil for at least one year before sale, according to product size. The tuna from the "tonnara", also known as red tuna, now rarer and more exquisite, appertains to prestigious species and lives in the Mediterranean Sea. It is characterized by its intense red color, of good consistency and of delicious taste.After being fished, it is processed from fresh in the Maierato (VV) plant, where it undergoes the entire one-day processing cycle, from the selection of the pieces to the cleaning, from the steam cooking to the packaging, whilst fully respecting the antique handcrafted tradition.Callipo is a family-owned company that uses premium-quality yellow-fin tuna. Since 1913, Callipo has been a leading producer of Mediterranean tuna and other seafood products. Based out of the southern Italian region of Calabria, Callipo sources the finest yellow fin tuna filets it in olive oil. Today's salad lovers enjoy a rich variety of delicious Wish-Bone dressings, marinades and mixes. But the Wish-Bone story started with just a single Italian recipe some 60 years ago. In 1945, returning World War II veteran Phillip Sollomi opened a family style chicken restaurant in Kansas City, Missouri and the Wish-Bone was open for business. The restaurant was an immediate success, but it was in 1948 that the Wish-Bone found it's true calling. That year Phil debuted his mother's then little known salad dressing from a recipe brought from her native Sicily. Customers fell in love right there and as demand grew, Phil began mixing the dressing in a 50 gallon drum, bottling it up as fast as they could pour it. But not before his mother would slap on it's unmistakable label: "The Kansas City Wish-Bone Famous Italian Style Dressing". 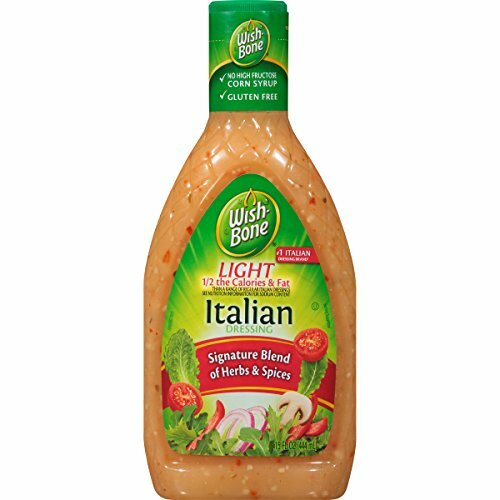 Wish-Bone Light Italian Salad Dressing has 1/3 fewer calories and 1/2 the fat than a range of regular Italian dressings, and is full of flavor - a great addition to leafy greens or pasta salads. This deep demanding roast challenges even the most experienced roasters at Peet's. Watching listening and smelling the beans throughout the long slow process Peet's masterful roasters wait patiently for the brief moment when the premium beans reach dark-roasted perfection. Selected for their depth and density only the best high-altitude coffees from Latin America and the Pacific are strong enough to hold up to the intense roasting. 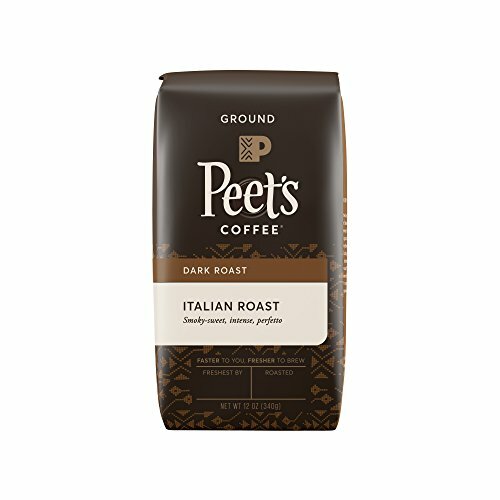 Peet's Italian Extra Dark Roast coffee is vigorous with immense depth and texture. Its full-bodied flavor is ideal for espresso and it comes to life nicely in a classic Italian stovetop coffee maker. Whole beans ensure you can enjoy the best flavor possible by grinding at home immediately before use. A reduced calorie dressing. 60% less fat; 60% fewer calories than their regular dressing. Still only 1 g carbs per serving. Fat Per Serving: This product 5 g - the regular dressing (14 g). A reduced calorie dressing. 60% less fat; 60% fewer calories than our regular dressing. 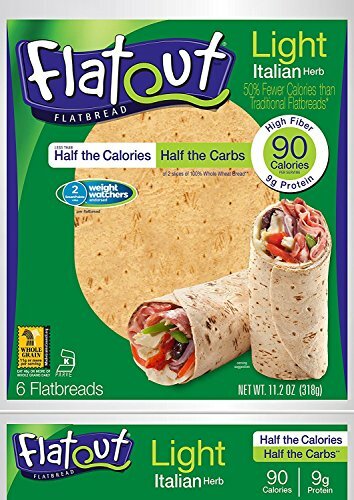 Still only 1 g carbs per serving. Fat Per Serving: This product 5 g - our regular dressing (14 g). Calories Per Serving: This product 50 - our regular dressing (130). Get more from your salad! A slash of Wish-Bone® adds more than delicious flavor, because oils like those in Wish-Bone® dressings help the body better absorb the antioxidants vitamins A and E form salad. * Make salads a part of your day! 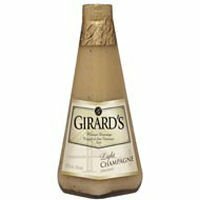 Enjoy Girard's Champagne Salad Dressing Light . Made With Real Champagne Stock And White Wine Vinegar, Chives, And Spices To Give That "One-Of-A-Kind" Flavor. An Excellent Marinade For Grilled Chicken Or Use In Your Favorite Pasta Salad. (Note: Description is informational only. Please refer to ingredients label on product prior to use and address any health questions to your Health Professional prior to use. 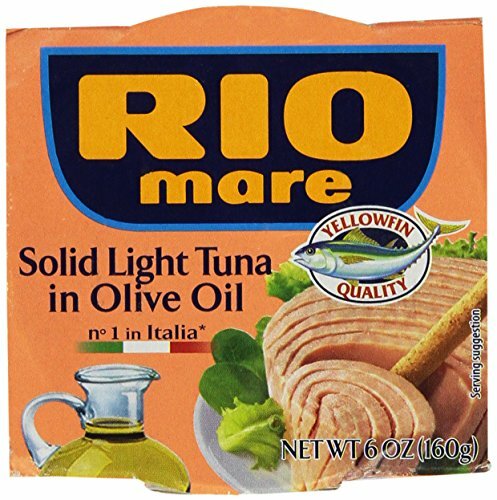 Rio mare solid light tuna fish in olive oil.